New Online Entry System Launched! 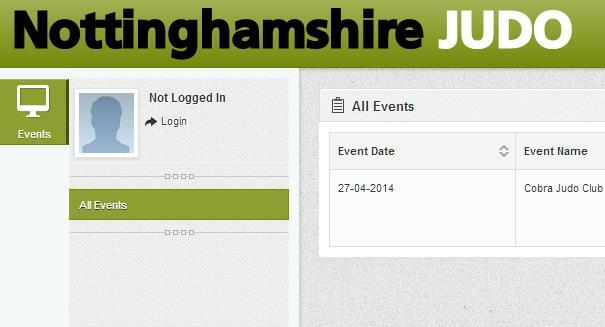 Due to the large number of events organised by Nottinghamshire Judo each year the committee decided to commission work on a new online entry system. After only a few weeks of development and vigorous testing we are pleased to announce that the system is now live! Data is encrypted and processed securely by GlobalSign 256-bit certification. Payments are processed securely by PayPal (PayPal account not required). Create an account when you first register for an event, after that just log in each time and the majority of the information will be completed for you. Keep track of all of your entries in your own personal ‘My Account’ area. Entry information verification, all details will be checked against the event criteria to ensure that the details entered are correct and eligible for that event. All future events will now be cheaper to enter online with no levy being applied by us. The only charge incurred will be the PayPal transaction fee (3.4% + 20p), previously when entering online the cost would have been £15.00 (plus any credit card fees) the cost now will be £14.70, if you enter a team of 10 players the cost will now be £145.13 (previously £150.00 + charges). Why not visit the new system and register your account ready for your first online entry? The first event that will be taking online entries via the new system is the Cobra Judo Club Red Belt Rumble on Sunday 27 April if you have any players that want to enter why not give the new system a try?